DSMX Spektrum Compatible and DSM2 Backward Compatible. 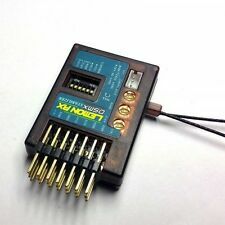 Type: Stabilizer with DSMX Compatible 7-Channel Full Range Receiver (Top Pin). Understanding the Lemon Rx stabiliser. Modulation: DSMX Compatible (Also DSM2 backward Compatible). 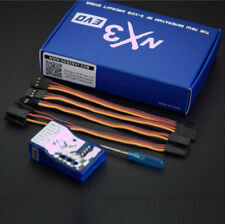 (DSMX Spektrum Compatible and DSM2 Backward Compatible. Type: Stabilizer with DSMX Compatible7-Channel Full Range Receiver. Modulation: DSMX Compatible (Also DSM2 backward Compatible). 1) This is not a Spektrum DSMX or DSM2 product, nor is it a copy of a Spektrum DSM2 or DSMX product. The Detrum Istone Acro is a 6-axis Gyro & Stabilizer for airplane. 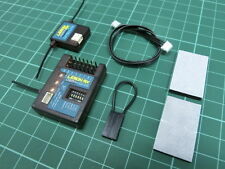 It is suitable for normal wing, fly-wing, and V-tail airplanes with normal mode, gyro mode and aerobatic mode. Item Model: Istone Acro. Suitable for JJRC H36 Drone Quadcopter. 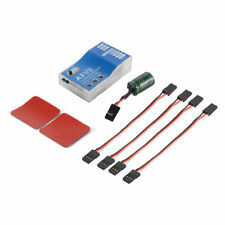 4 x 3.7V 150mAh Battery For JJRC H36 Drone. Specification: 3.7V 150 mAh Lipo battery. Battery Color:White. We will not be responsible for. following the end of the sale. Built-in Gyro: Yes. With the newest 6 axis stabilization system for precise hovering in the sky and 360\\' 3D eversion. Type: RC Simulators. Functions: Up/down, 360 degrees spin, Forward/backward, Turn left/right, Sideward flight, 3D rollover. Overview: A3 Super 3 (hereinafter referred to as A3S3) is a high-performance and functional 6-axis gyro and stabilizer designed for RC airplanes. This gyro can be used with nearly any size and type of R/C airplanes and it will make the flying even easier and comfortable. .
Flybarless System 3 Axis Gyro for Align Trex 450 700 RC Helicopter 6ch 3d. G-SUN 3G 3-Axis Programmable Flybarless System is a small, light weight, high-performance 3-axis gyroscope, for various levels of electric and gas helicopter. 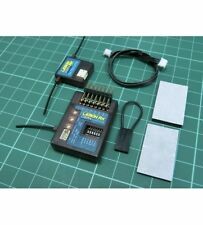 New in box fu-bar 3 axis flybarless gyro with sticky pads, leads and download lead. 1 x Quadcopter. Built-in 6 axis gyro ensures more stable and flexible flight. Gyro system: 6 axis. 2.4Ghz MJX RC Drone Headless RC Quadcopter 6 Axis Gyro Wide Angle Gifts 3D Rolls. Water Jetter RC Helicopter 3.5ch Gyro Water Shooting Shockproof Aeroplane RC Toy. Newest MJX X400 RC quadcopter. MJX X400-V2 drone 1. Advanced gyro, make your flight more stable, photo more HD. Function: ascend/descend, forward/backward, turn left/right, left/right fly. 3D 360o flip. Syma S109G 3.5 Channel RC Helicopter with Gyro. Up/down, left/turn right, forward/backward with gyro 2 frequency is available Stable/Easy to fly. 1 RC Helicopter. Radio: Infrared. Watt Hours: 0.56.